Yesterday we looked at silver senna flowers that I said were buzz pollinated. 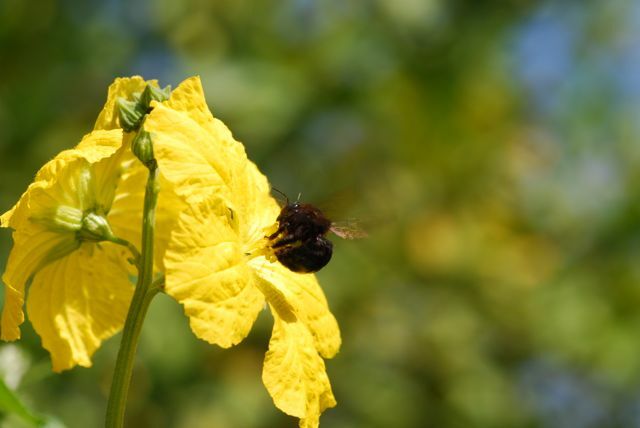 What does buzz pollination mean? The stamens or pollen producing parts of certain flowers are enclosed, sort of like salt shakers. 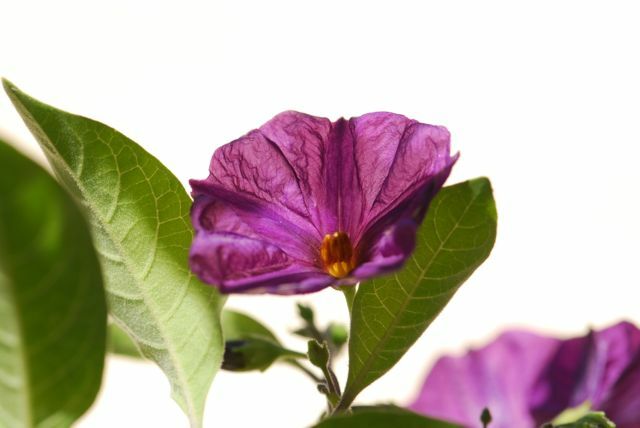 For example, the short, stout yellow stamens of this potato bush flower are buzz pollinated. 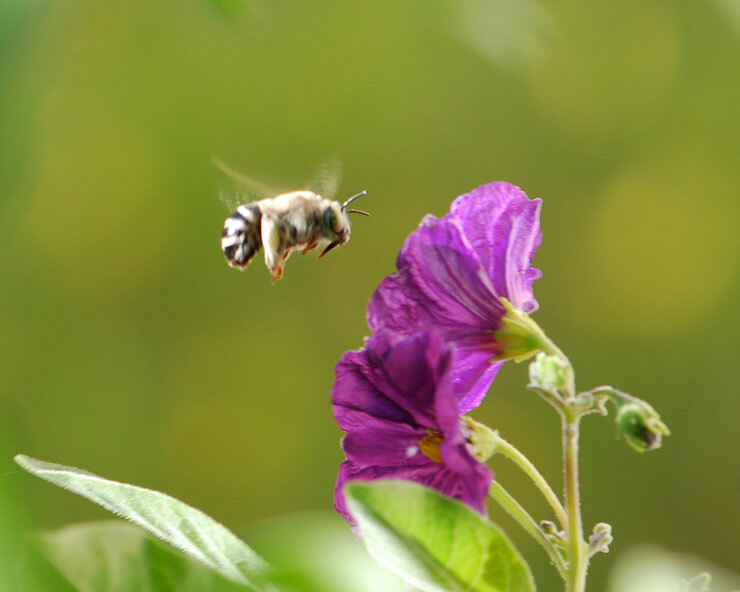 To get the pollen out, the bee grabs the stamens with its mandibles or jaws and then curls its abdomen around while vibrating at a certain pitch. We have some adorable solitary bees that visit the potato bush often, but I have never been able to get a photograph of them in the act. Close, but not in the act. The little bees are just too fast. Today I found a video where someone has captured these bees pollinating similar pepper flowers. Turn up the volume, and you will hear why it maybe should be called "bizz" pollination instead of buzz pollination. The tiny bees might not be easy to photograph, but this carpenter bee was more cooperative. 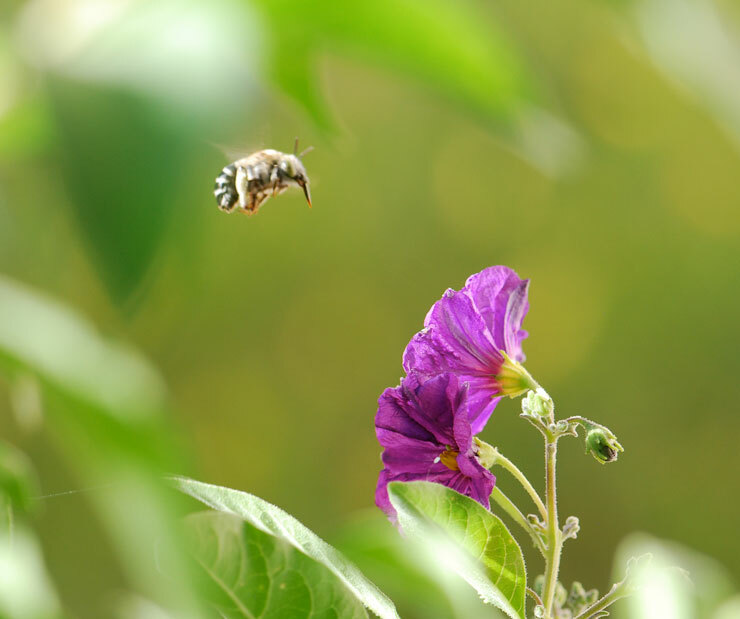 Have you ever seen bees buzz pollinating a flower?